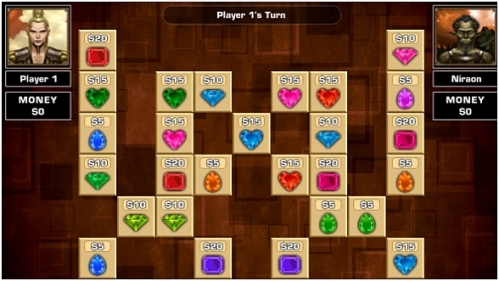 Description Epic Mahjong Battle is a turn based Mahjong game which can be played by 1 or 2 players. In single duels and campaign you play with computer. You can adopt easy, normal or hard mode as per your convenience. In Player versus Player battle, you can play with your friend. Try to collect more money than you opponent to win a duel. Click 2 Identical Items to remove them from board. The both items must have 2 adjacent sides open. It means that item should not be blocked by any other item from its left top sides or right top sides or left bottom sides or left top side.